An aspect is defined as a geometrical configuration between two planets or points in a chart that is thought to denote some type of relationship or connection. 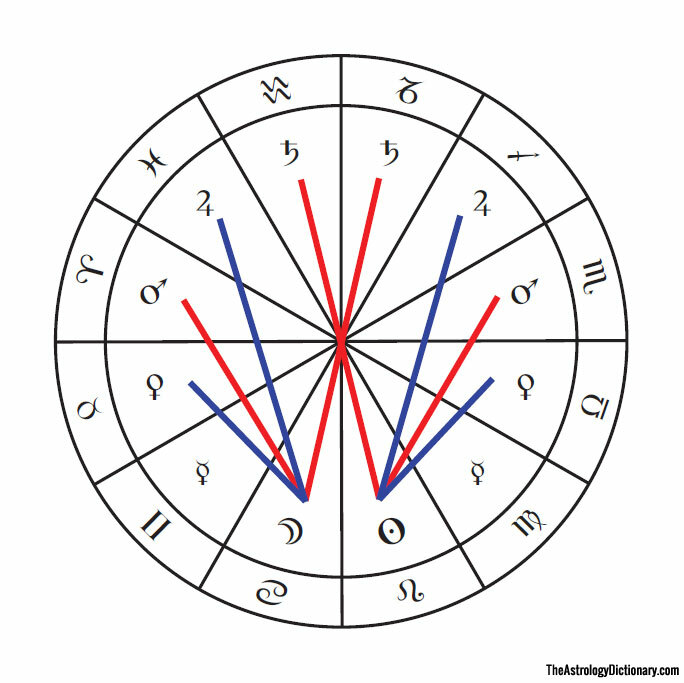 Originally aspects were conceptualized as the ability or inability for planets to see each other, and much of the fundamental aspect doctrine in western astrology is related to ancient optical theories. In traditional astrology only the major aspects were used, otherwise known as the Ptolemaic aspects. The nature of each aspect was derived from the configuration of each of the planets to the two luminaries in the domicile assignments, by dividing the domiciles into two hemispheres. 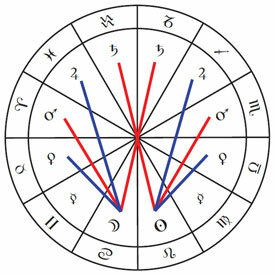 For example, both of the luminaries are configured to Venus by sextile, and thus the sextile is associated with the nature of Venus. Similarly, both luminaries are configured to Mars by square, so the nature of the square is seen as being similar to Mars. And so on.